Greg Plitt changed so many people’s lives. He repeated many times that he had the best job in the world, of motivating people and pushing them to become stronger. Unfortunately Greg passed away earlier this year, but his legacy lives on through all the motivational and inspirational videos and quotes of his, that continue to motivate people every day. 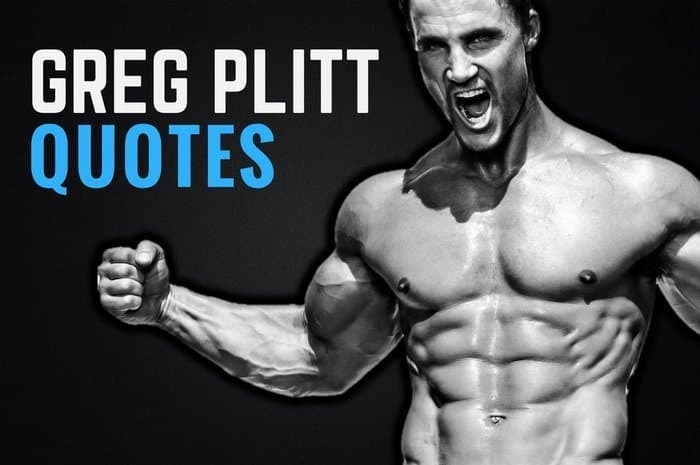 Here are 25 of the best Greg Plitt quotes about success in life. Thanks for checking out these awesome Greg Plitt quotes, and don’t forget to check out more of our awesome quotes below! If you enjoyed the list, please share it with your friends and family on social media. What’s your favorite Greg Plitt quote? Leave a comment below. Greg Plitt was a rare individual because he walked the talk. Rock solid to the core. I’m going to miss him for sure. Great collection of quotes, Dan.